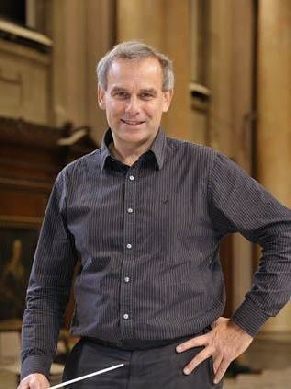 David is one of the UK's most versatile conductors, working with orchestras, symphony choruses & national youth choirs. He has conducted in more than 25 countries, including India, the USA, UAE, Singapore, and has worked regularly in Australia since 2005. David is on the choral staff of the London Symphony Orchestra and City of Birmingham Symphony Orchestra, and is well-known as a leader of ‘big sing’ events, such as the 700-voice Spem in Alium by Thomas Tallis that he conducted for BBC 4 and the Young Voices concert series; this annually sees him conduct choirs of more than 8,000 singers. 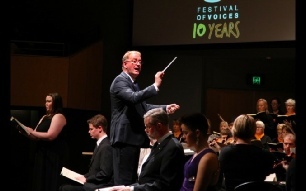 David feels very privileged to maintain his relationship with the Jersey Festival Choir; it continues to be the longest-standing musical partnership of his career, our first concert having taken place back in 1990! He is looking forward very much indeed to our next collaboration in April 2017. Jonathan was born in Worcester and after early musical training as a chorister at King’s College Cambridge & an Open Music Scholar at Clifton College, he took an Honours degree in Music from Cambridge University; he held a choral scholarship at Trinity College. Jonathan’s career has combined choral & orchestral conducting with extensive composition work. He has also held major posts in general & specialist music education – most recently as Director of the Junior Academy at the Royal Academy of Music in London. His broad choral & orchestral conducting experience also results in many invitations to lead choral workshops and adjudicate competitions & festivals. Jonathan’s work has taken him to many parts of the world, including Australia, New Zealand, South Africa and China, as well as frequent engagements in USA and Canada, many European countries and throughout UK. He is also a widely-performed, recorded & published composer with his music having been performed at the BBC Proms & recognised by nomination for the Academy of Composers and Songwriters’ prestigious British Composer Awards.